PALU, Indonesia, 26 October 2018 – Almost one month after a deadly earthquake and tsunami struck Palu and the surrounding areas of the northwestern part of Sulawesi, Indonesia, an estimated 375,000 children remain in need of lifesaving supplies and services. Over 2,000 people were killed by the earthquake, tsunami, and subsequent landslides and liquefaction, and key services for children including schools and health centres were rendered inoperable. UNICEF continues to work with the Indonesian government and other partners to provide urgent assistance to the most vulnerable children, addressing priorities including medical assistance, clean water, basic hygiene and sanitation, education, shelter, and protection. 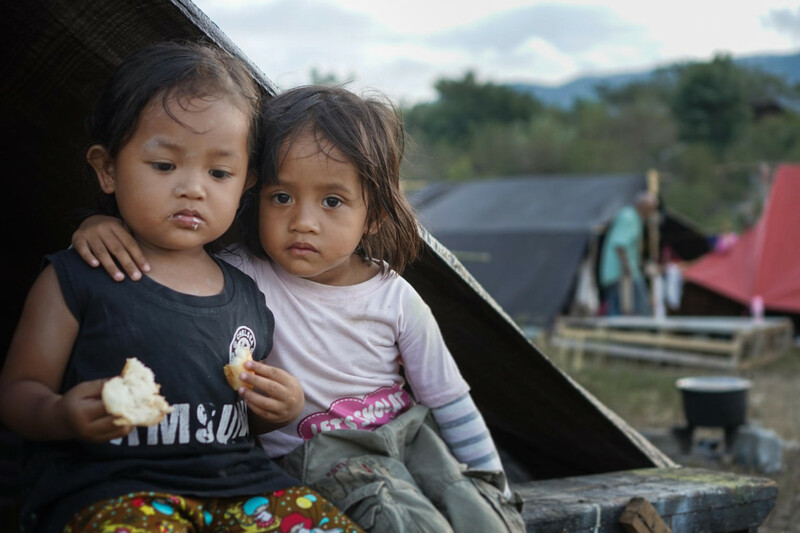 “Almost one month after the disaster, life for hundreds of thousands of children in Central Sulawesi is still far from back to normal,” said Debora Comini, UNICEF Representative to Indonesia. “Children remain homeless, out of school and in need of psychosocial support to help them deal with the trauma they experienced. 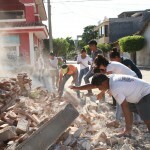 Over 1,500 schools were damaged, leaving approximately 184,000 students with nowhere to study. One of UNICEF’s priorities in Sulawesi is to support the government’s efforts in getting children back in school, one of the most important steps in restoring normalcy to a community. UNICEF has already sent a first batch of 200 ‘schools in a tent’, 200 ‘school in a box’ kits and 50 Early Childhood Education kits. UNICEF was the first UN agency to reach the affected populations of Central Sulawesi with essential emergency supplies. “In times of crisis, getting children back into the classroom is a vital way of returning a sense of normality to children’s lives, providing a safe space for children to learn, play, and also a chance to begin to deal with any trauma they may have experienced,” Ms. Comini said. UNICEF and partners are also working with the provincial government to meet the needs of around 152,000 people who are lacking access to safe water, basic sanitation, and hygiene items. A mapping of the urban water pipe system in Palu showed that the network has been extensively damaged. UNICEF is also working with the Government of Indonesia, and partners, to mobilize substantial lifesaving aid and support that includes the provision of immunization, water and sanitation supplies, as well as family tracing services and psychosocial support to more than 4,500 children. “Thanks to the support of donors and partners, UNICEF was able to respond quickly in the immediate aftermath of the disaster. However, a lot more needs to be done in the months ahead. Children and families will need committed, sustained support to get their lives back on track,” added Ms. Comini. UNICEF has launched its ‘Humanitarian Action for Children’ (HAC) appeal for USD26.6 million for a six-month period for immediate response, early recovery and rehabilitation assistance for children affected by the disaster in Sulawesi, as well as for children and communities affected by the earthquakes that devastated parts of Lombok in August. As of 25 October, it has garnered USD 7.5 million in funds from public donations.